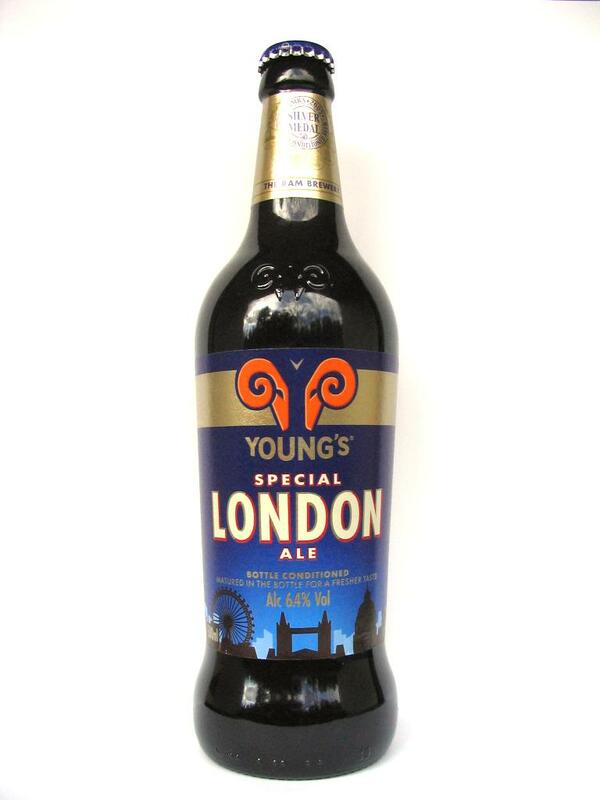 Just another, quite nice, ale. Contains malted barley. Wells & Young's Brewing Co. Ltd., Bedford, England. 4.5% alcohol. It smells like hot chocolate, and its taste is both sweet and bitter, like a very rich hot chocolate, only cold and fizzy. 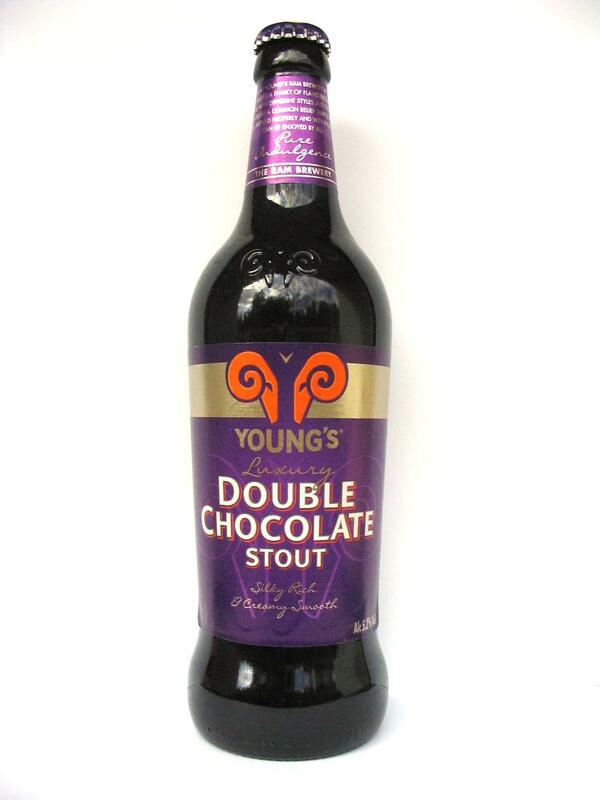 The chocolate taste dominates completely the one of the stout. I would also guess that the chocolate has been made with Criollos or maybe Trinitarios cocoa beans. It's not sweet enough to go well with chocolate, though. Made of malted barley and oats. Young & Co's Brewery P.L.C. The Ram Brewery, Wandsworth, London, England. 5.2% alcohol. The smell is fruity, but I can't put a name on it. It tastes very fruity, maybe of peach, with a very slightly bitter aftertaste. Made of malted barley, bottle conditioned. 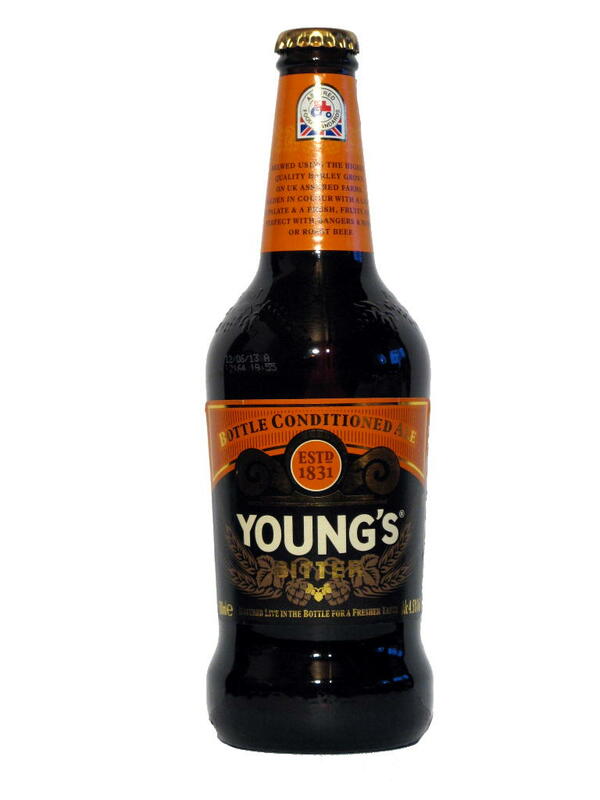 Young & Co's Brewery P.L.C. The Ram Brewery, Wandsworth, London, England. 6.4% alcohol.